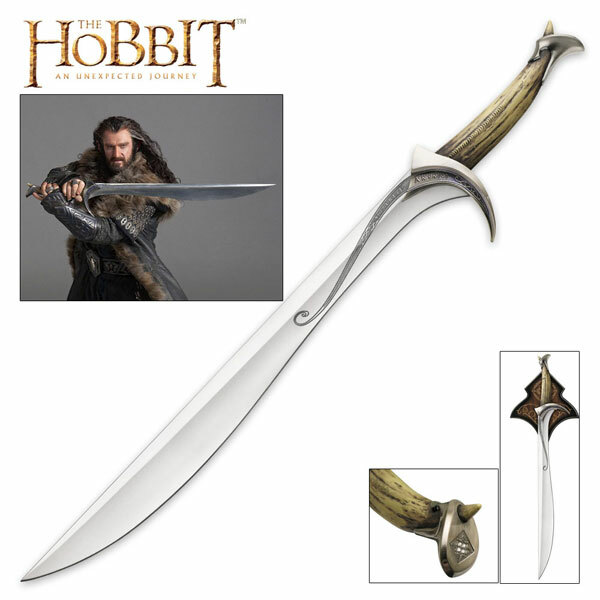 Orcrist Swords of Thorin for sale are from The Hobbit movie. 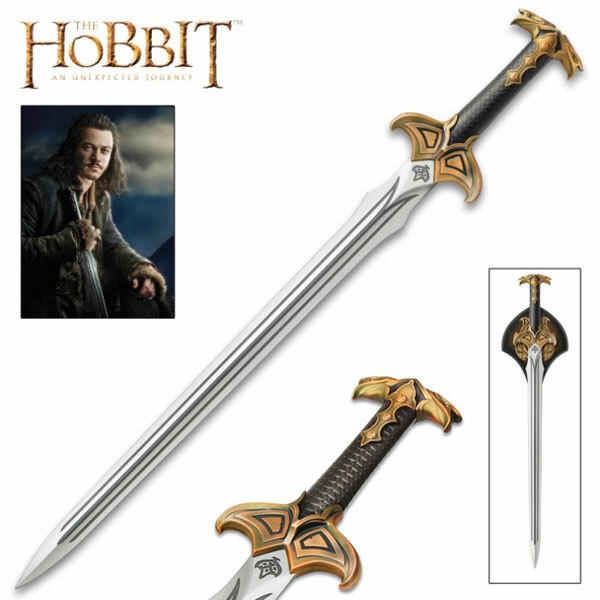 These beautiful swords are a detailed replica of the real props made by Weta Workshop and used by Thorin Oakenshield in the Hobbit films. 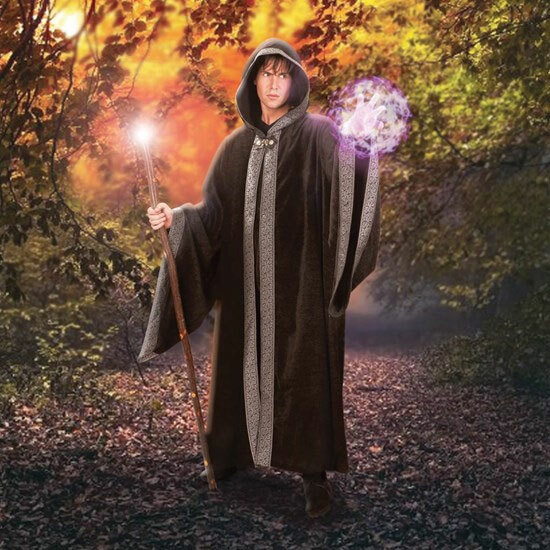 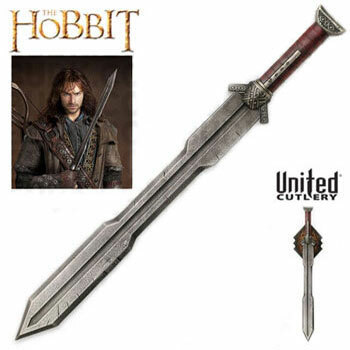 They are 38 ¾ inches in all and have a solid, 25 7/8th inch unsharpened AUS-6 stainless steel blade that has a runic inscription. 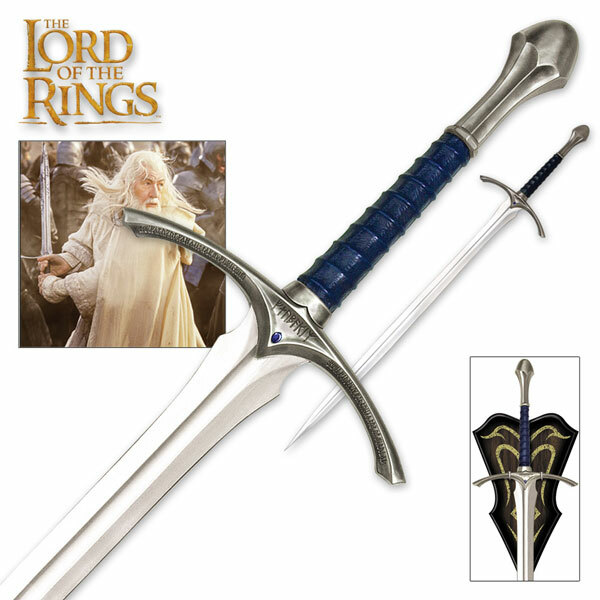 The solid metal handle has simulated gem stones and an acrylic resin grip. 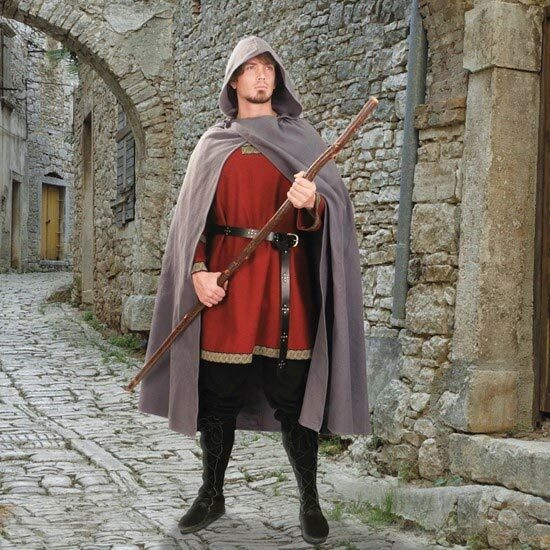 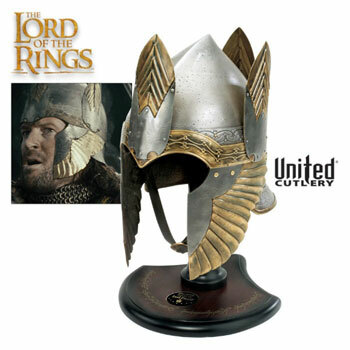 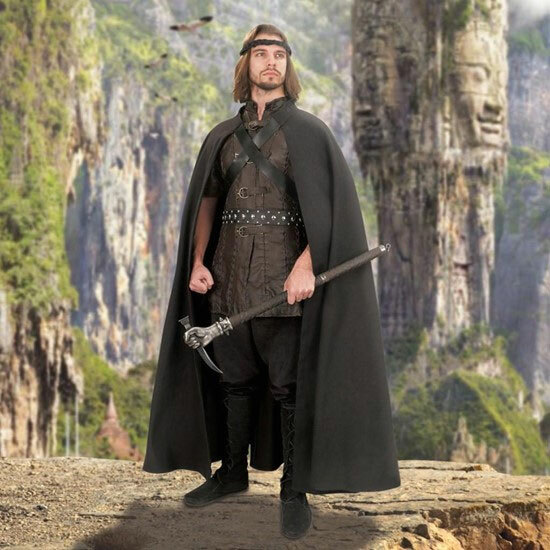 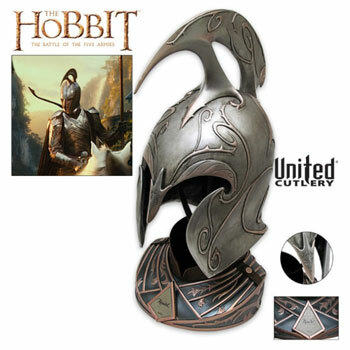 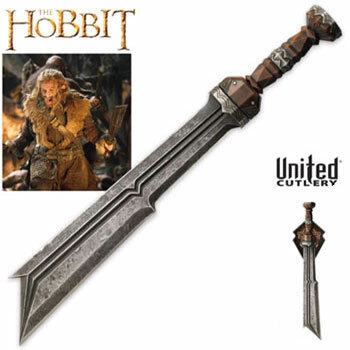 Orcrist, or Goblin Cleaver, is inscribed on the guard. 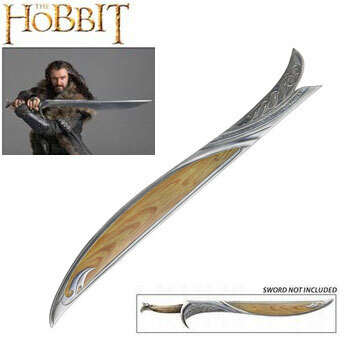 Both sides of the blade feature an inscription that translates to the serpent’s tooth. 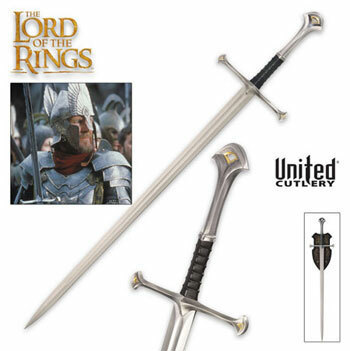 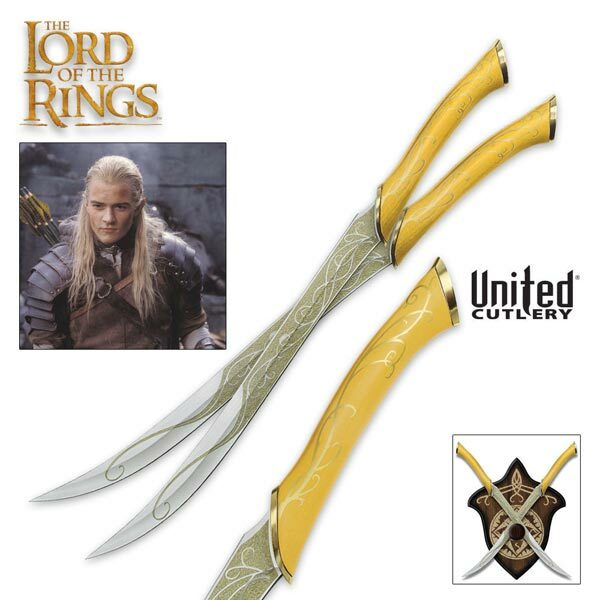 These officially licensed swords are made by United Cutlery. 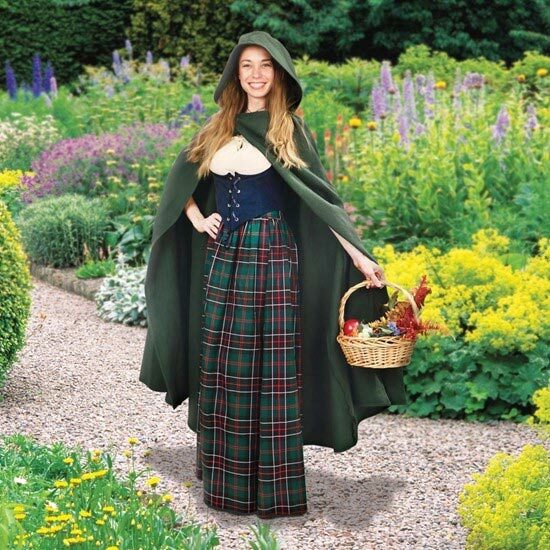 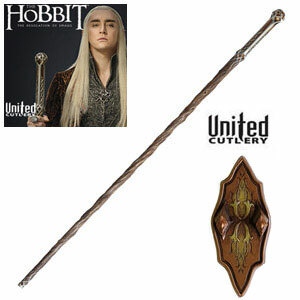 They include a certificate of authenticity and a wooden wall display plaque, which has mounting hardware and display instructions. 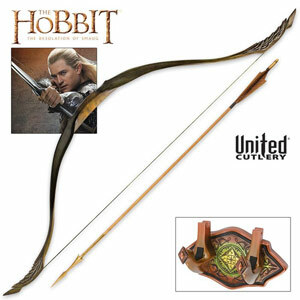 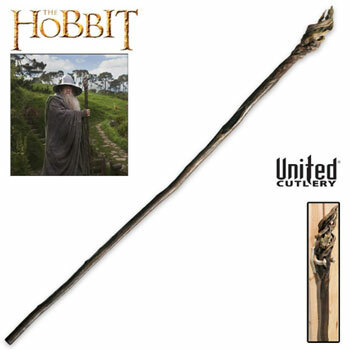 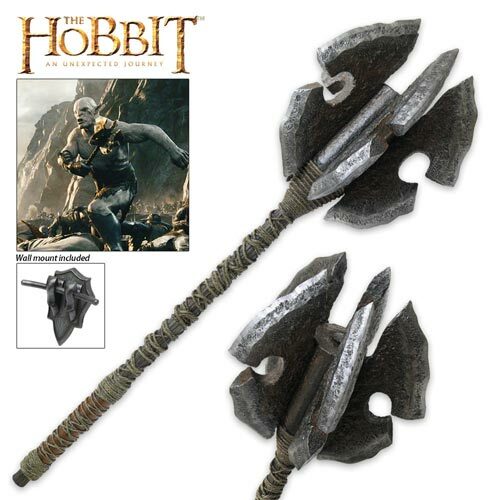 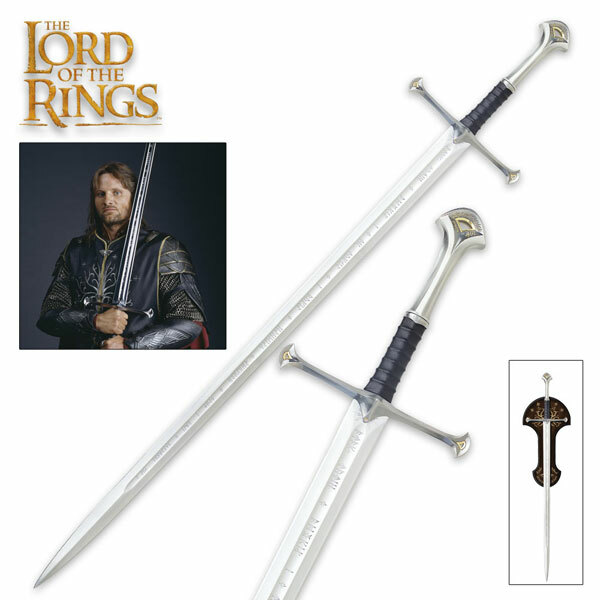 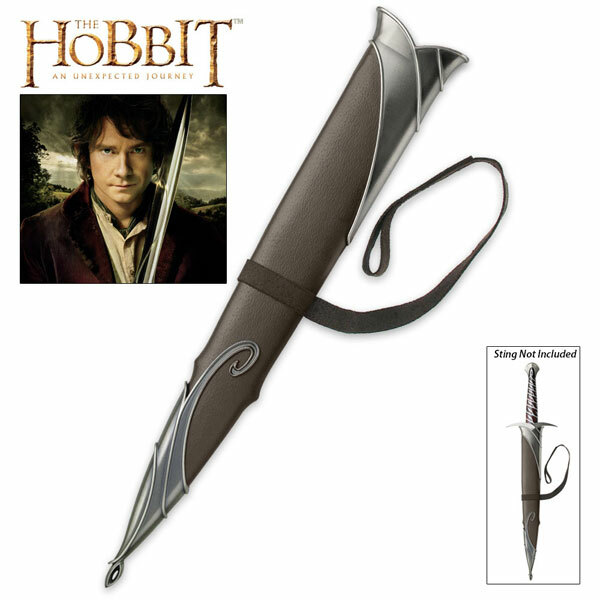 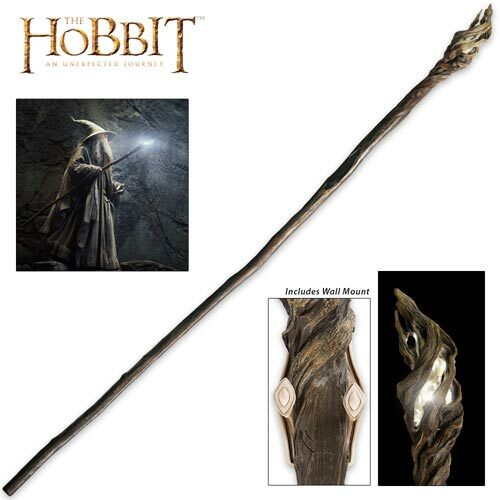 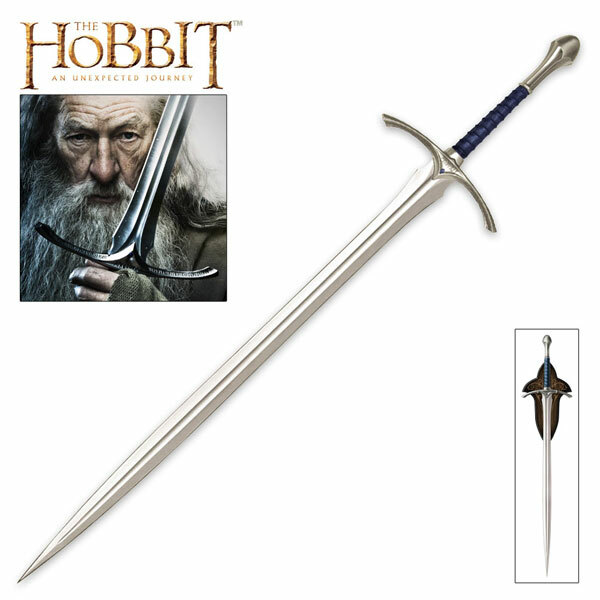 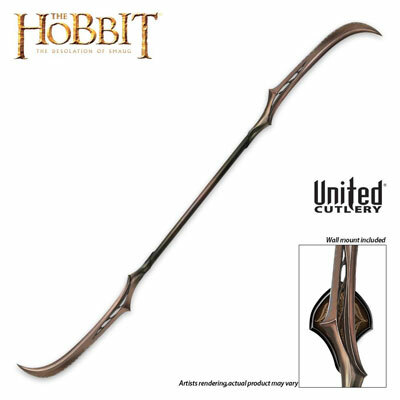 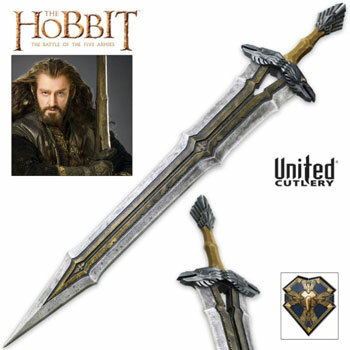 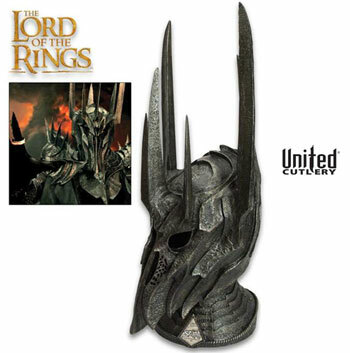 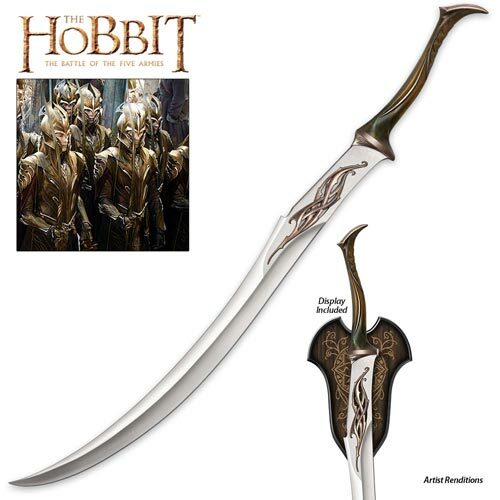 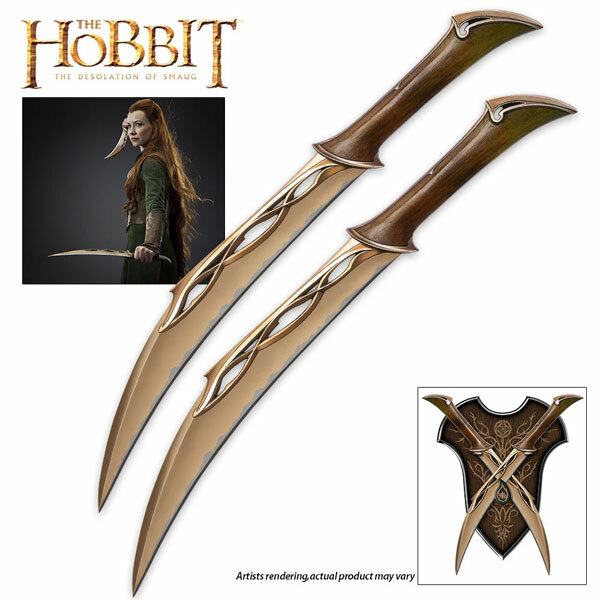 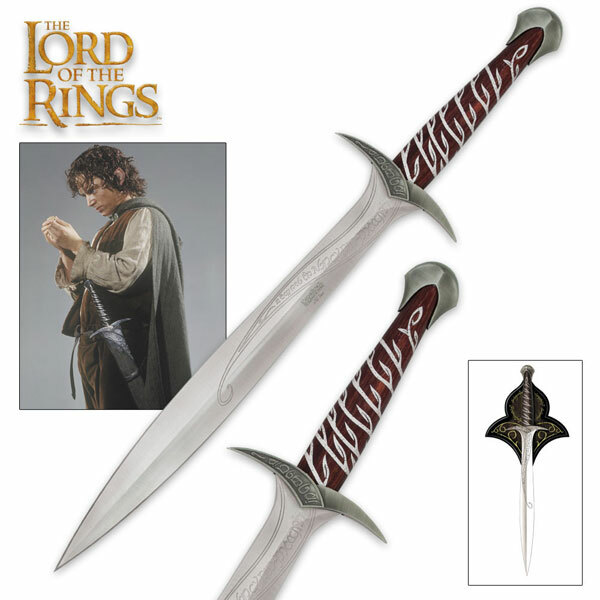 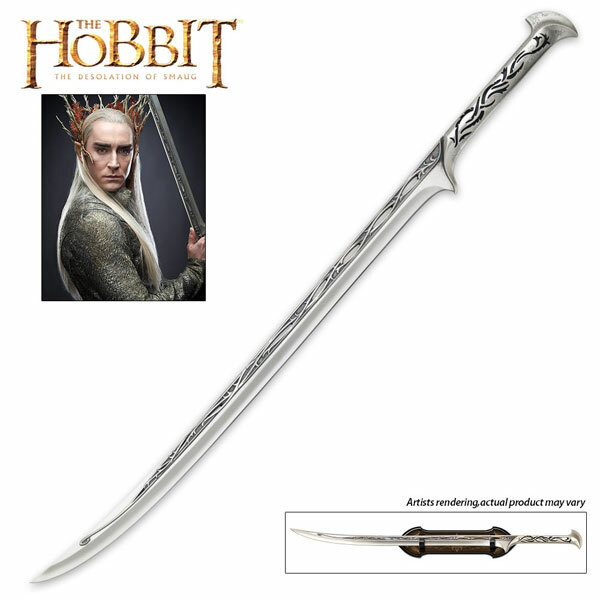 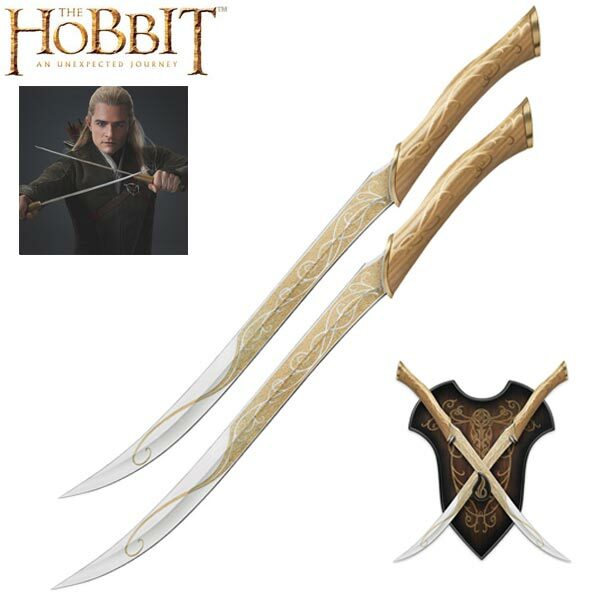 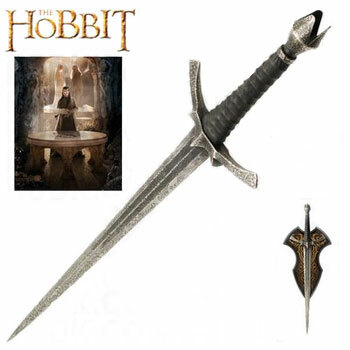 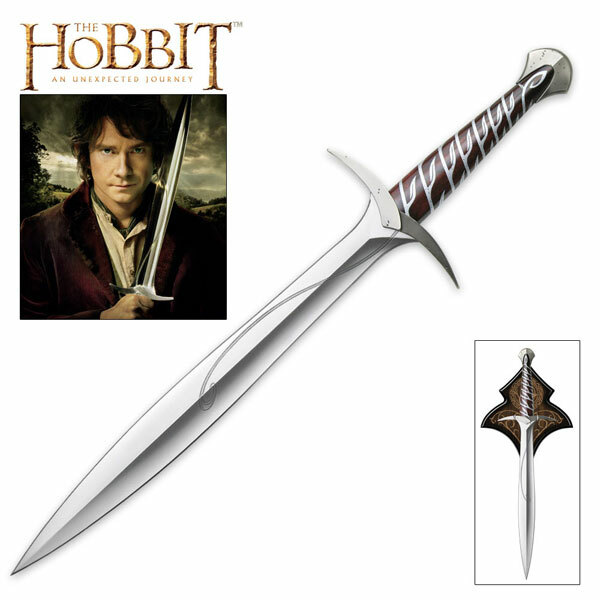 Buy the Orcrist Sword of Thorin Oakenshield for $179.99.